Panovec Forest lies in Western Slovenia, next to the city Nova Gorica. It doesn’t look so special at first sight. It isn’t particularly large and it is much used by the people of Nova Gorica for jogging and for walking dogs. However, for a brief period in early spring, wild flowers colour the forest floor! A forest or a city park? “Panovec” is actually the name of a small forested hill. Like in the rest of Slovenia, there used to be a wild, natural forest here. Because of easy access, this is used for wood production for a long time. More recently, it has become an experimental area for trying out foreign tree species for wood production. Currently, it is something in between a natural forest and a managed city park. Partly in connection with that, Panovec got the dubious distinction as one of the areas with most Invasive Alien Plants in Slovenia. In spite of all this, Panovec still harbours a rich native flora as well and is well worth to visit. Perhaps the best time to go there is February, when the early spring flowers colour the forest. In this early season, Central Slovenia is often still covered with snow. In February, the forest edge is full of Spring Crocus, Crocus heuffelianus (formerly Crocus vernus ssp. vernus). In most areas, white Spring Crocus are a minority. However, in Panovec we find a colourful mix of white, pale violet and dark violet flowers. 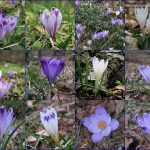 In other parts of Slovenia, a predominantly white flowered crocus occurs, the “Little Nun”, Crocus vernus (formerly Crocus vernus ssp. albiflorus). A colourful mixed population can indicate that both species occur together, but in Panovec, this seems not the case. 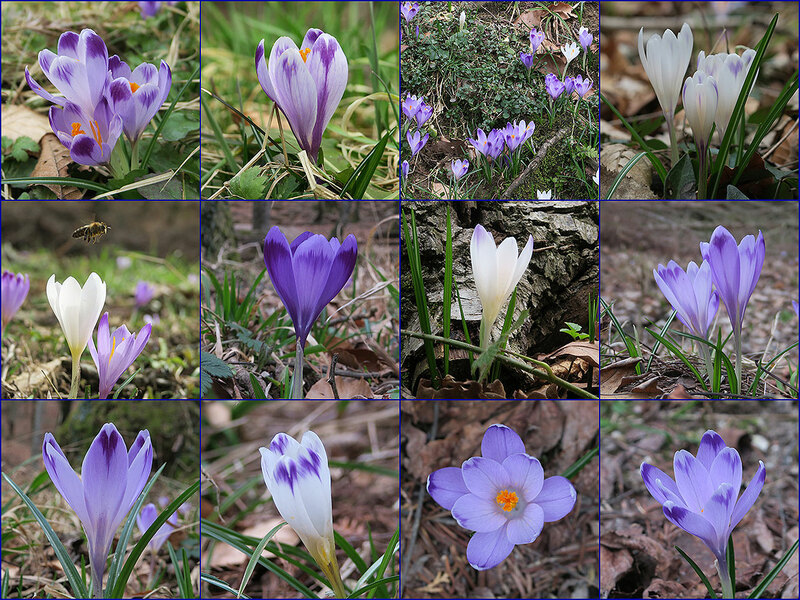 Little Nuns are smaller than Spring Crocus and there is no size difference between the white and the violet coloured flowers in Panovec. From this, it seems that the white ones are a genuine colour variety of Spring Crocus. There is some size difference visible between different growing places: Spring Crocus from the forest appear on average a little bit smaller than those which grow in the forest edge. 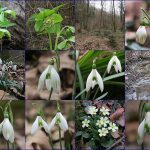 Snowdrops are native plants in Slovenia. They are mostly restricted to lower and middle altitudes, but they can be rather abundant. In Panovec, they are not rare either, but they don’t grow in very dense populations. Instead, you find smaller numbers here and there in the lowest, somewhat more moist parts of the forest. 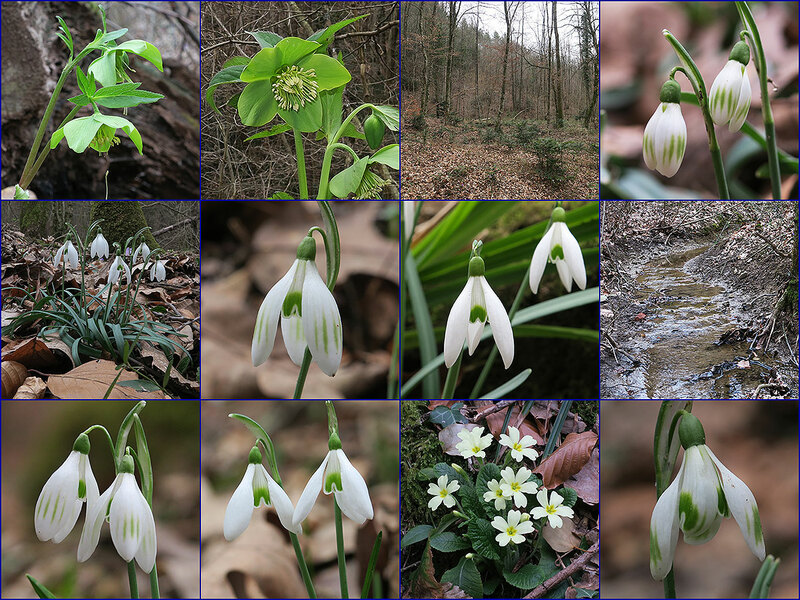 There are subtle differences between snowdrops from different parts of Slovenia, but the real challenge is to find aberrant flowers. These are rare in some areas, and a bit more frequent in other places. After some searching, I found a few of them. Worldwide, specialist’ private collectors treasure such plants which are often named as distinct varieties. Here, they grow in the wild and are part of the natural variation of the population. I genuinely hope that this will stay so in the future: photograph and don’t take! Istrian hellebores are not as showy: their flowers range from green to yellowish green. However, they are by far the largest of the early flowers in Panovec. They are not very abundant in Panovec, but you can find them without too big difficulties. On a sunny day, it pays to kneel down to examine them closely. Their true diversity is not how they look, but how they smell. Some are sweet, others awful, and these can grow side by side! Please note that all bulbs and hellebores are legally protected in Slovenia. They are obviously attractive, but there is a big risk for populations if they would be commercially harvested from nature. Admire, photograph, but please do not take, is the way to go.